In the 1980’s, companies that wanted to electronically trade with their supply chain would typically turn to Value Added Network (VAN) providers. The VAN provider was generally stipulated by the dominant player in the supply chain (the retailer or automotive manufacturer for instance). VAN services provided a mailbox for the sending and receipt of EDI messages that were charged for on a per kilo-character basis (regardless of business value). Set-up fees and transformation services that converted the data into the format required by the customer were charged at an additional rate. The VAN technology model worked and has endured for a surprisingly long time. 30 years on however and the cracks are starting to show. Technology and business demands have moved on. The proprietary platforms behind VAN’s don’t lend themselves to development and they fall well short of accommodating modern integration requirements. Also, their pricing models are looking increasingly unattractive. As technology (and business sophistication) has evolved, many retailers and manufacturers have pulled back from tying their suppliers in to expensive, ‘black box’ monopoly integration. Can the vendor scale with our planned growth? Does the vendor have experience of all of the markets we are likely to operate in? This extends to support for regional standards, languages, time-zones and a local geographical presence.Is the vendor able to support all of the business processes we are likely to require in the future? This may include e-invoicing, webEDI, sophis ticated logistics, warehousing processes etc. There are also some potentially less obvious criteria that should be given consideration. Exchanging small packets of structured data in the form of EDI messages is still critical to the basic operation of most supply chains today, and is likely to be for many decades to come. Things are changing however. Few sectors are isolated from the Amazon or Uber effect. Whether to address challenges or exploit opportunities, whether impacted by globalisation or governance, whether transitioning to an omni-channel strategy or shifting key business systems in to the Cloud – the old cliché of ‘change is the only constant’ is reality. Now all eyes are on the pace of change. Pretty much every business initiative will involve trading partners, machinery, systems, processes or people. All of these will need to be integrated in to the core business. At this point no CIO wants to have to go and select another new technology unless they absolutely have to. Leading industry analyst, Gartner have recently refined their position. 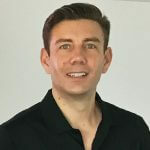 High on the rising curve of their ‘Hype Cycle’ for integration technology they have identified the strategic value of a new genre of platform they call HIP’s (Hybrid Integration Platform). VP and Fellow at Gartner, Massimo Pezzini, refers to a HIP as ‘a framework of on-premise and Cloud-based integration and governance capabilities that enables differently skilled personas (integration specialists and non-specialists) to support a wide range of integration use cases’. Such use cases could include: any number of B2B scenarios enabled by the publishing or consumption of API’s; integrating enterprise applications whether in the Cloud or an in-house data centre; Managed File Transfer (MFT) of large or very sensitive data. The writing is on the wall for VAN’s. Next time you find yourself frustrated by your legacy integration vendor and reviewing the alternatives, give a thought to what might be around the corner. It could be omni-channel initiatives, a shift towards enterprise apps and services in the Cloud, the outsourcing of business functions such as warehousing, improving cash-flow with e-invoicing or implementing GDPR readiness by way of MFT. There could be an opportunity to kill two birds with one stone. The right integration vendor can not only 1) improve security, management capability and flexibility but also 2) substantially reduce implementation time, cost and complexity. 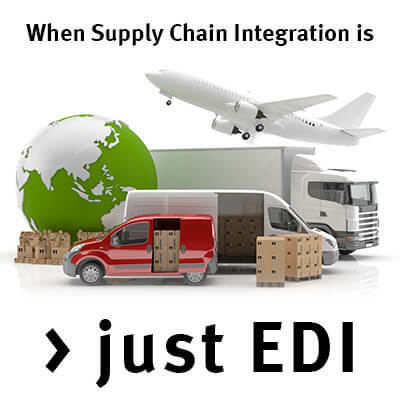 Remember, supply chain integration is > just EDI.